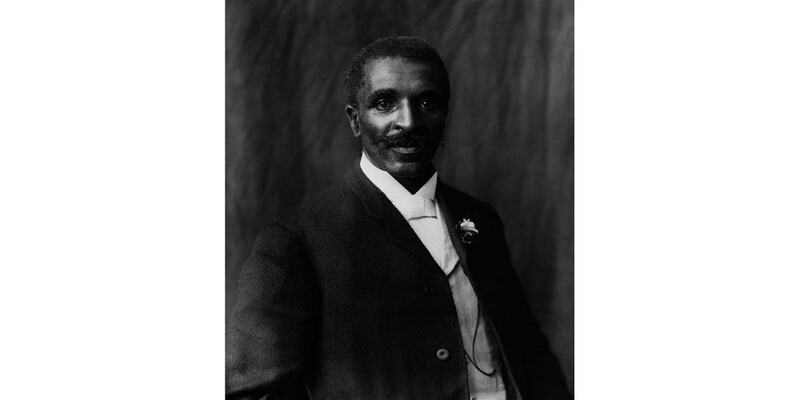 George Washington Carver is among the greatest men who ever lived! Historian and author William J. “Bill” Federer beautifully summarizes his story in this radio conversation. You will be impacted by the flow of his life story heard here and recorded in Bill’s book, George Washington Carver: His Life & Faith in His Own Words. Born a slave toward the end of America’s Civil War, infant George, his mother and his sister were kidnapped by “bushwhackers,” something like overland pirates. When the farmer, Mr. Carter, sent a worker with a horse as ransom payment to retrieve them, the bushwackers kept his mother, kept his sister, kept the horse, and left infant George on the ground to die of whooping cough. From these most humble beginnings, George Washington Carver spent a lifetime in doing good and refusing to be bitter from racism and other injustices during his time on earth. He was ultimately to positively affect the entire world! His story in Bill’s book includes GW Carver’s statements … in his own words … of his saving faith in Jesus Christ as the Son of God … and of the amazing spiritual insights that have helped so many millions. He ultimately would find hundreds of uses of the peanut (such as peanut butter) and soybean. He reports numerous instances of going into the laboratory without answers or books … praying … and coming out with the answers having been revealed to him. To receive Bill Federer’s accounts of many inspirational aspect of our Godly Heritage — on the anniversary of the day of its occurrence — click on americanminute.com. Read one or more, and subscribe for free. About 30,000 already do so. Bill Federer’s “American Minute” is heard on hundreds of radio stations, including the 100 stations of Bott Radio Network (bottradionetwork.com). “My dear friend, I am so glad that God is using you in such an effective way. “My beloved friend, I do not feel capable of writing a single word of counsel to those dear young people, more than to say that my heart goes out to every one of them, regardless of the fact that I have never seen them and may never do so. “I want them to find Jesus, and make Him a daily, hourly, and momently part of themselves. “O how I want them to get the fullest measure of happiness and success out of life. I want them to see the Great Creator in the smallest and apparently the most insignificant things about them. “How I long for each one to walk and talk with the Great Creator through the things he has created. “How I thank God every day that I can walk and talk with Him. Just last week I was reminded of His omnipotence, majesty and power through a little specimen of mineral sent me for analysis, from Bakersfield, California. I have dissolved it, purified it, made conditions favorable for the formation of crystals, when lo before my very eyes, a beautiful bunch of sea green crystals have formed and alongside of them a bunch of snow white ones. “Marvel of marvels, how I wish I had you in God’s little work-shop for a while, how your soul would be thrilled and lifted up. “My beloved friend, keep your hand in that of the Master, walk daily by His side, so that you may lead others into the realms of true happiness, where a religion of hate, (which poisons both body and soul) will be unknown, having in its place the ‘Golden Rule’ way, which is the ‘Jesus Way’ of life, will reign supreme. “Then, we can walk and talk with Jesus momentarily, because we will be attuned to His will and wishes, thus making the Creation story of the world non-debatable as to its reality. “I was just a mere boy when converted, hardly ten years old. There isn’t much of a story to it. God just came into my heart one afternoon while I was alone in the ‘loft’ of our big barn while I was shelling corn to carry to the mill to be ground into meal. “A dear little white boy, one of our neighbors, about my age, came by one Saturday morning and in talking and playing he told me he was going to Sunday school tomorrow morning. I was eager to know what a Sunday school was. He said they sang hymns and prayed. I asked him what prayer was and what they said. I do not remember what he said; only remember that as soon as he left, I climbed up into the ‘loft,” knelt down by the barrel of corn and prayed as best I could. I do not remember what I said. I only recall that I felt so good that I prayed several times before I quit. George Washington Carver so reminds us of Jesus. Among his many virtues, he refused to return evil for evil, such as racism with more racism! He was aware, and proclaimed, that God has a plan for each one of us.